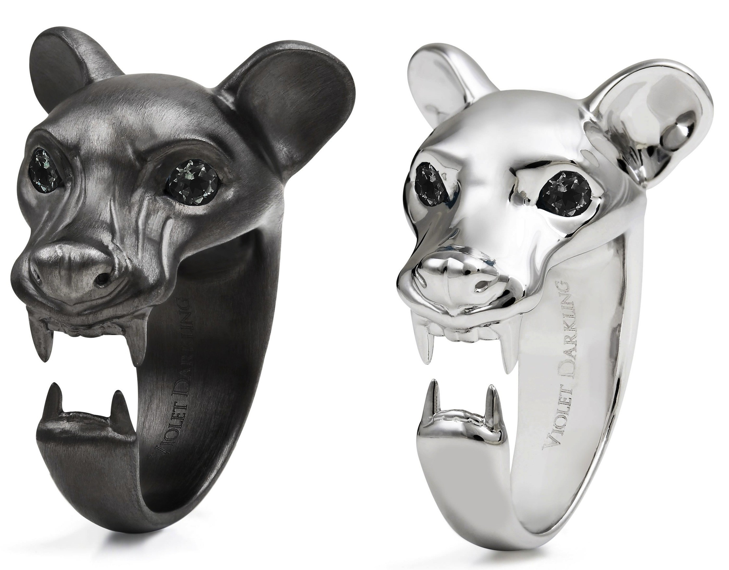 Last year I joined Violet Darkling at a dinner hosted by one of her stockists My Flash Trash, where in front of me at the table was a display with these impressive Fossa Rings in. Whilst former models of these striking pieces were previously made of gold, which were far higher in price, this matte black rhodium ring with black spiniel eyes is a very impressive, and more affordable, piece. Although, being a lover of silver jewellery, the silver plated piece with the same black spiniel eyes makes a statement. As I have said in a previous post on jewellery that has caught my eye, I am seeing a big trend in animal headed pieces so I am sure you will see a lot more. WOW! dats just awsme man.. where can i buy this in Middle east?